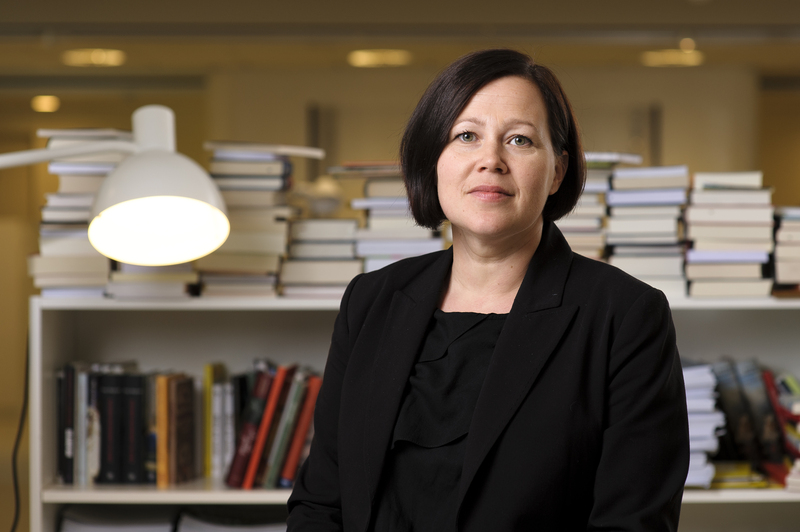 Elina Druker, PhD and member of the ALMA jury, has been appointed University Lecturer in comparative literature with at focus on children and young people. This is the first lectureship with this direction at Stockholm University. The award office caught Elina for a comment between her lectures at the university. Congratulations on your new job! What significance does it have, do you think, that Stockholm University has instituted this lectureship? Thanks, I´m really happy! Stockholm University has had a professorship in literature focusing on children’s and young adult literature since the early 80s. It’s great that we get a lectureship in the same direction, it will strengthen our literary profile further. What are the current issues within the research field of children’s and young adult literature today internationally? The Research areas expand in different directions, indicating that the topic has been established in many countries. Intermedial research, gender studies and cognitive studies are exciting areas among other things. You are involved in the project “Children’s Literature, Culture and Cognition”, can you tell us about this? It is a series of books on new European and Scandinavian children’s literature research, which will be launched soon. We are four editors from four different countries, so it is a very exciting and stimulating cooperation. Do you have any hopes and aims with this new lectureship? My special interest is picture books, so I hope to draw attention to the picture book further in my work. It is an area within children’s literature where very much is happening right now, both in Sweden and internationally. Elina Druker begins her new employment on February 1, 2013. –The Guadalajara International Book Fair is an important forum of us in our efforts to increase awareness of ALMA worldwide. We have very good experiences of our relationship with the book fair, and I am very much looking forward to making new contacts, sharing experiences and getting more knowledge on literature from this part of the world. And of course to experience the amazing book fair itself! ALMA is also represented by Mats Berggren, author and member of the jury, who is invited to lecture on reading promotion and previous ALMA recipients. The book fair is open between November 24 and December 2, and applies to both the general public and professionals. Last year, publishing houses from 43 countries exhibited at the fair and the number of visitors exceeded 659 000. More information here. 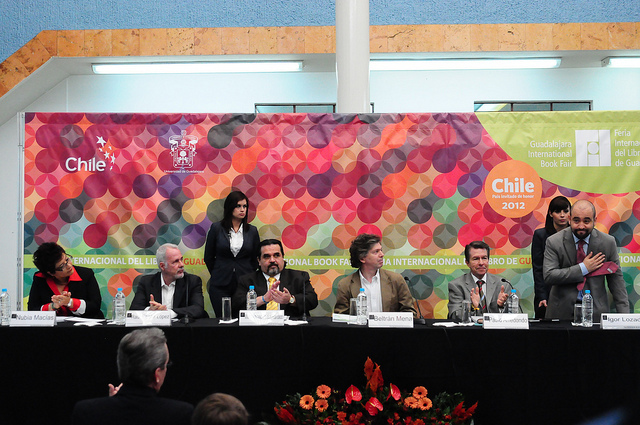 The FIL Press Conference announcing the 2012 program.Photo: Guadalajara Book Fair. 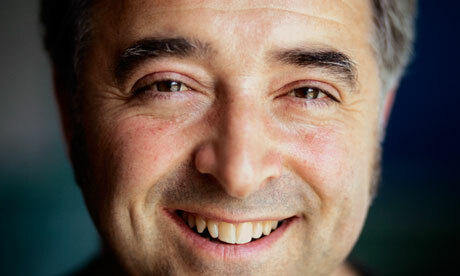 Frank Cottrell Boyce. Photo: Christopher Thomond for the Guardian. Here’s a clip where Frank Cottrell Boyce actually reads for youngsters on a Liverpool train (!). Furthermore, author, poet and editor Naomi Shihab Nye has been announced as winner of the NSK Neustadt Prize for Children’s Literature for 2012. Naomi Shihab Nye is the sixth recipient of this $25,000 award (among the previous recipient’s author Katherine Paterson, who received the Astrid Lindgren Memorial Award in 2006), which is sponsored by the University of Oklahoma and World Literature Today. Naomi Shihab Nye has received numerous awards, such as from the Texas Institute of Letters, the Charity Randall Prize from the International Poetry Form, and four Pushcart Prizes. She has edited eight anthologies of poems for young readers, and her works include 10 Varieties of Gazelle: Poems of the Middle East, Habibi, You and Yours and A Maze Me: Poems for Girls. – With her powerful vision and high-quality poetry, fiction, and young-adult literature, Ms. Nye may be one of the most complete and accomplished writers in the world. 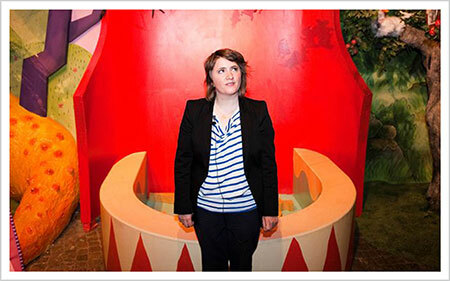 Kitty Crowther, illustrator and recipient of the 2010 Astrid Lindgren Memorial Award, is in the limelight this week with a new book, written by no other than Astrid Lindgren! Tomten är vaken (Rabén&Sjögren) was written by Astrid Lindgren during the 1960s, and has never been published in Sweden before. Kitty Crowther describes the book about the Swedish Tomte (garden gnome – not Santa Claus!) as a very warm, comforting, almost healing story. Kitty, how come you started this project? Birgitta Westin, from Rabén&Sjögren, had the idea of inviting me to illustrate this story. It seems that the manuscript was languishing in a cupboard, until the German publisher died, and the text reverted to the Lindgren family. They then asked Rabéns if the story could be republished. When I had the proposal, I was thrilled, and apparently the Lindgren family was happy that I would be the illustrator. It´s almost like a nice roundabout, my being awarded the Astrid Lindgren prize, and then illustrating one of her stories. Tell us about the story! It´s a very warm, comforting, almost healing story. I just love the Tomte, he is such a fantastic character. Nothing is really said about him but you get to know him from the way the story develops. Astrid is such a powerful story teller. You understand, without realizing that you understand. The story is about a Tomte watching over a farm and all its living creatures. In the middle of the cold winter he goes and checks that all are fine. Winter is there, and very chilly, and the Tomte has his magic language giving hope and warmth, that goes straight to your heart. He is, however, a lonely Tomte. He is so shy, so ancient, part of the beliefs of the old world. So I am very happy to go back to that form of energy. Life is going too fast, these days! What was it like to illustrate the book, can you describe your work process? At first I found it very difficult to find the right character, or to invite the Tomte to my pages. This took ages, till, after a long while, I found him, and could not stop smiling when he was under my pencil. The other difficulty is that this is a very traditional, classic story. I have to respect its energy. But luckily I just love snow. And I love drawing animals. I wanted them to be very real. I have been checking the works of others, notably Rien Poortvliet`s farm pictures. And only when I had found the style I wanted, I checked out Victor Rydberg on the internet. The northern lights was the perfect idea. I just love this greenish glow in the night sky, but it is quite difficult to do a story set entirely at night. I actually had a Viktor Rydberg Christmas book as a child. So I knew what his Tomte looked like, although I was confused about his size. For, in Nils Anderson he is very small, flying on the back of a goose. When we interviewed you for our 10 year anniversary, you said that “I am connected to Astrid. She is an incredible person. I can almost feel her smile.” What were your feelings working with this project? Just fantastic! I first read the story in a library a few days ago. I could sense Astrid smiling, and it was amazing and wonderful to win the ALMA prize, but it is even more amazing to have her name and mine side by side. People tell me that it´s the perfect story for me to illustrate. Of course! Who doesn`t (but not the coca cola one!) I believe in many things that I don`t see. When you look at the character of Santa Claus, and do some research, it´s very, very interesting. And a very very old ritual, about darkness and light. Winter to Spring, when it starts to get difficult to find warmth and food. I will shortly be attending the Montreuil book fair in Paris, one of some eigth illustrators. The theme isto be “adventure”, and it has been a great adventure, illustrating Astrid´s book. When talking to my friend, the Director of the fair, Sylvie Vassallo, she pointed out that Astrid´s book is the perfect Christmas book, and even though the Francophone world doesn`t know about Tomten. Indeed it is a difficult word to translate. Portvliet says “Gnome”, which is impossible in French. So the solution we found is Lutin, close to the fairy world. For the book will also be published in French, by Pastel, very shortly. The story is not about Santa Claus, because the Tomte is a very “bienveillant” person. He offers no presents, but himself, his time, and magic language, giving hope and comfort. He is such a loving creature. The book is about nature, and all its myths and legends. 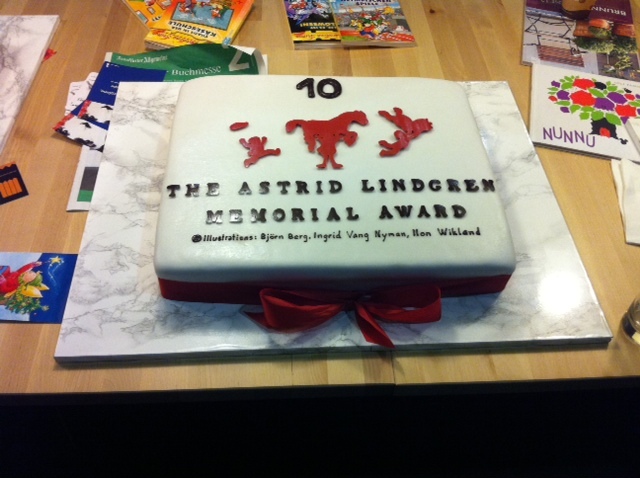 Interview with Kitty Crowther for the 10th anniversary of the Astrid Lindgren Memorial Award, here. 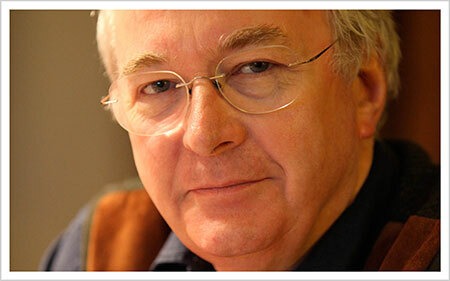 Versatile Philip Pullman, author of His Dark Materials, The Ruby in the Smoke and I was a Rat!, is in the limelight with a new book (blog post October 5), this time with an interpretation of fifty of the fairy tales of the Grimm Brothers. We contacted Philip Pullman as we were curious about why exactly the Grimm Brothers became a starting point for his new book. Hello Philip, please tell us about your latest book. I wrote these versions of fifty of the Grimm tales because … The publisher, Penguin Classics, asked me to. I was delighted to have the chance of looking freshly at these marvellous stories, and of selecting the ones I thought most interesting from the 210 in their collection. All the famous classics had to be there (‘Little Red Riding Hood’, ‘Hansel and Gretel’, and so on) but I was also very pleased to be able to include some wonderful stories that aren’t so well known, such as ‘The Three Snake Leaves’, or ‘Hans-my-Hedghog’. They are still of interest to people today because above all else they are marvellous stories, full of danger, fear, excitement, happiness, humour and truth. The first edition of the fairytales of the Grimm Brothers was published in 1812. Why do you think the tales still interest people of today? My versions are not strict translations. There are plenty of those already. What I wanted to do was put them into a free and flowing modern English, in my voice, and to make the sort of little alterations that I’d make if I was telling them orally – cutting a bit here, adding a bit there, making this transition smoother, clarifying that motive. I thought I was allowed to do that because folk tales, which these are, are not a text in the literary sense. Wilhelm Grimm after all, made many alterations in the stories between the first edition of 1812 and the seventh of 1857 – not all of them for the better. In what way have you been influenced by the Grimm Brothers in your own writing? They have always influenced my own writing, but I think they’ll do so even more now. One small example: I saw how you can cut out most of your adverbs and make your work sharper and clearer. There’s a good lesson for any writer! Lisa Lundgren from the ALMA award office was asked to write a few lines from Frankfurt Book Fair for World Literature Today, here’s the link to her blog post. It´s interesting to follow the reactions on the release of the nominated candidates for 2013 in twitter, blogs and digital articles. Here´s a few good posts, Arabic Read Kutub KIDS, Spanish Xerais, Australian Bookseller and Publisher, Polish Rzeczpospolita and Swedish Bookwitch. Full list of nominees available here. 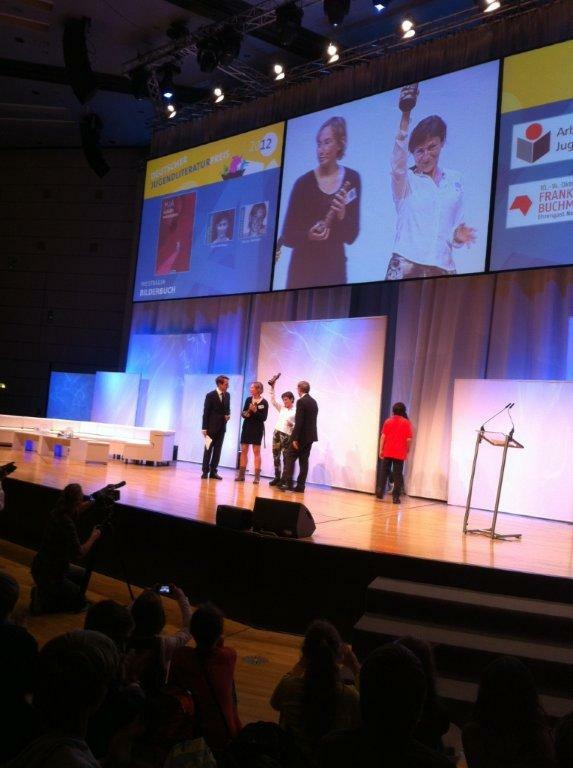 The German Children’s Literature Award (Deutscher Jugendliteraturpreis) was presented on Friday at Frankfurt Book Fair. The prize was given in four categories: picture book, children’s book, young adult book and non-fiction. 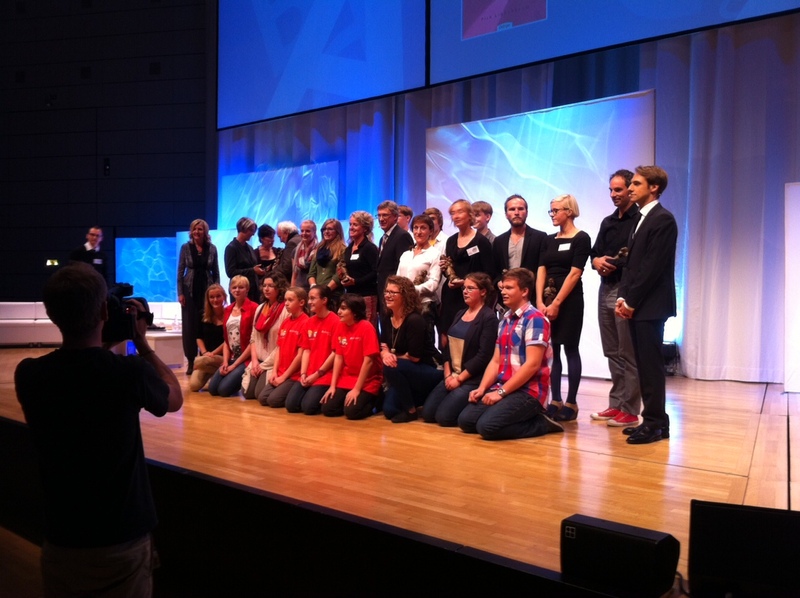 Two special prizes were also presented; one decided by a young adult jury and one award for a lifetime achievement. 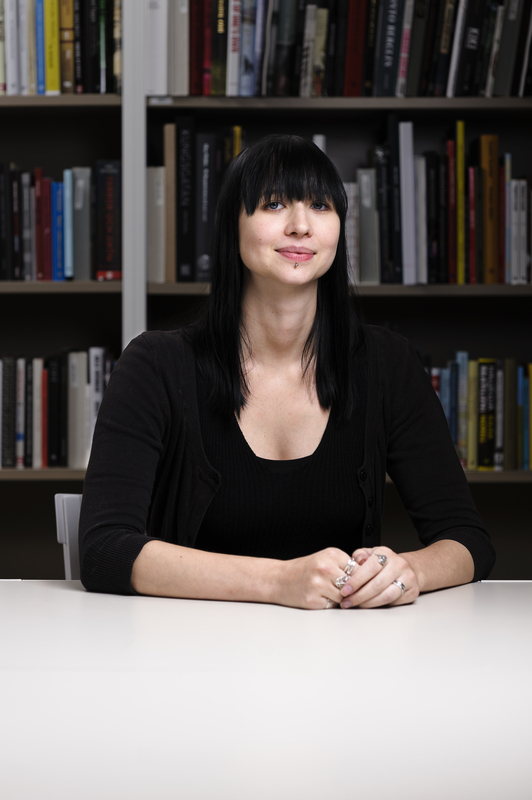 The Swedish writer and illustrator Pija Lindenabaum is one of the happy winners. Her picture book Mia schläft woanders (Siv sover vilse), translated by Kerstin Behnken (Friedrich Oetinger Verlag), was awarded for describing a little girl’s mixed feelings when for the first time staying the night at a friend´s house. The jury, The Arbeitskreis für Jugendliteratur, specially commented Lindenbaum’s ability to describe ordinary life from a child’s perspective. 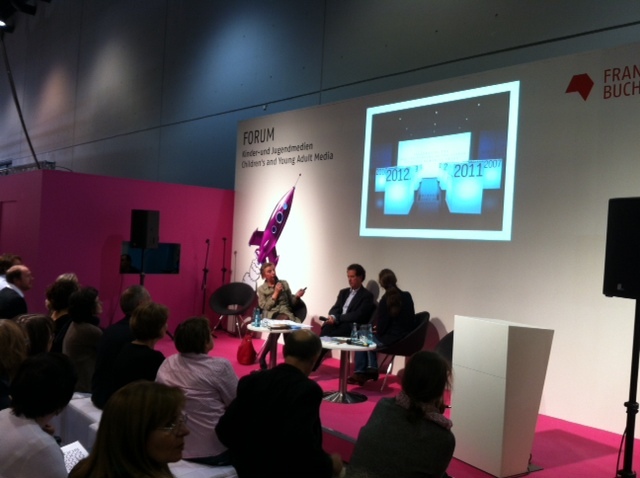 ALMA, together with the Frankfurt Book Fair, was the host on Thursday of a programme where the list of nominated candidates for the 2013 award was made public. The programme started at 4 pm with a welcome address by Gabi Rauch-Kneer, Vice President of the Frankfurt Book Fair, followed by a discussion of the nomination process and of the work of 2012 recipient Guus Kuijer. Moderator Felicitas von Lovenberg, of the Frankfurter Allgemeine Zeitung, led a discussion between Larry Lempert, Chairman of the jury, and ALMA Director Helen Sigeland. The conversation focused on what criteria makes a candidate stand out and how the jury comes to a decision about which candidate or candidates should receive the award each year. Helen Sigeland talking about the exhibition in Bologna marking the 10 year anniversary of ALMA. Helen Sigeland talked of ALMA celebrating its 10 year anniversary, and the announcement of Guus Kuijer as the 2012 award recipient in March of this year. She also showed a slide of Guus Kuijer visiting Sweden at the end of May to participate in the award week. Larry Lempert then announced that there are 207 candidates from 67 countries nominated for the 2013 award, which is more than ever before. The number of nominating bodies participating in the nomination process has also increased since last year. The programme concluded with Karin Nyman, daughter of Astrid Lindgren, being invited to the stage to participate in a conversation with Larry Lempert on the democratic values of Astrid Lindgren, focusing on the newly published Never violence! (Salikon), Astrid Lindgren’s speech when receiving the Friedenspreis des Deutschen Buchhandels in 1978. 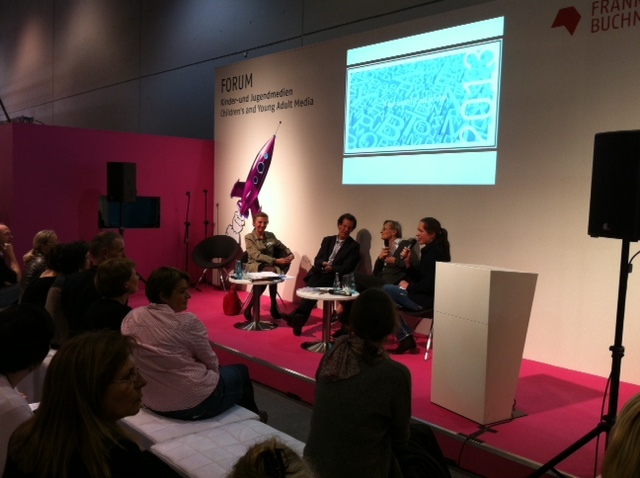 Helen Sigeland, Larry Lempert, Karin Nyman and Felicitas von Lovenberg in conversation. After the programme a reception followed celebrating the 10 year anniversary of ALMA, the 10 year anniversary of the Illustratoren Organisation (IO) and the 30 anniversary of Eselsohr. Marking this event each organisation was presented with a beautiful birthday cake, picture of the ALMA cake below. There simply must be a cake if you´re celebrating a 10 year anniversary. Photo: Lisa Lundgren.